I am one lucky duck. When I moved here a year ago I remember visiting this charming restaurant in Costa Mesa that had all the local magazines on display. I remembered thinking how badly I wanted to be in one of these fashionable issues. 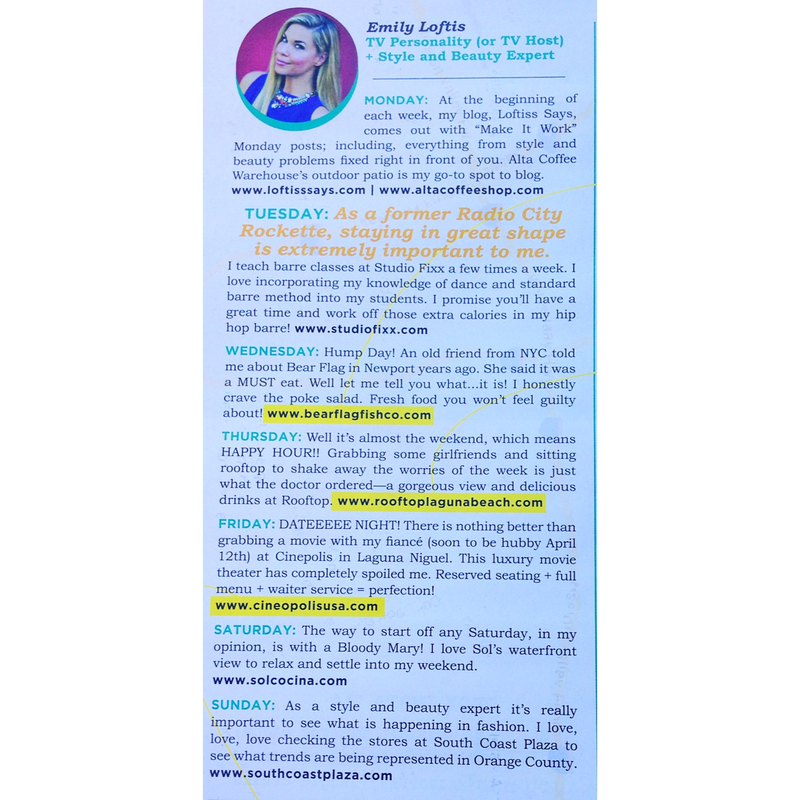 I am sooo happy to say I am now featured in my third magazine in Orange County! 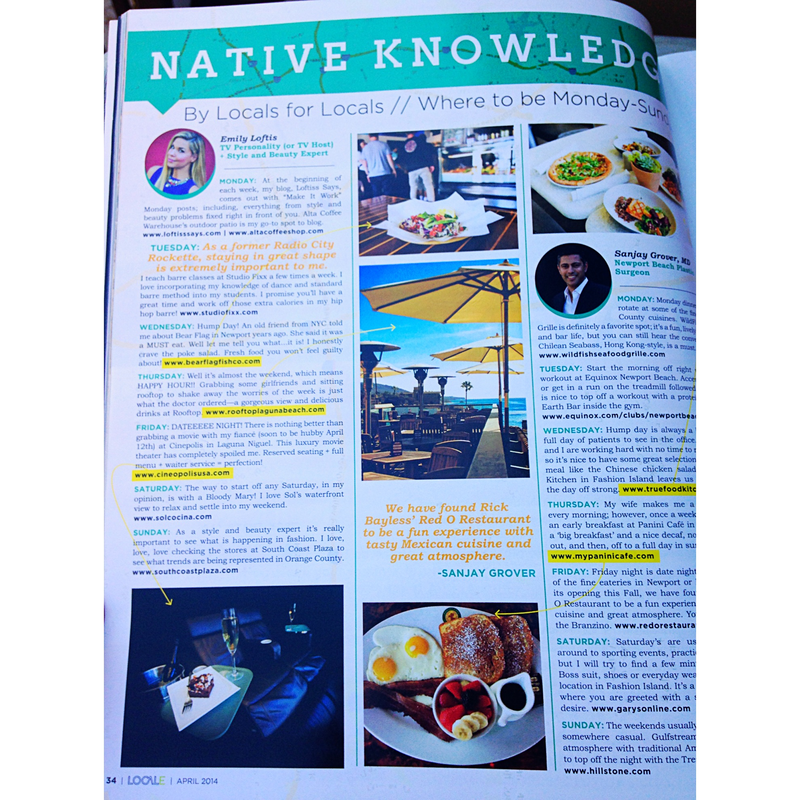 In April’s edition of Locale Magazine there is a section called “NATIVE KNOWLEDGE.” I was chosen to give an explanation of a normal week for me. Well we all know my life is different everyday when you throw in events, hosting and auditions… but I tried my best! I love that the article includes Jay as my soon-to-be- husband! 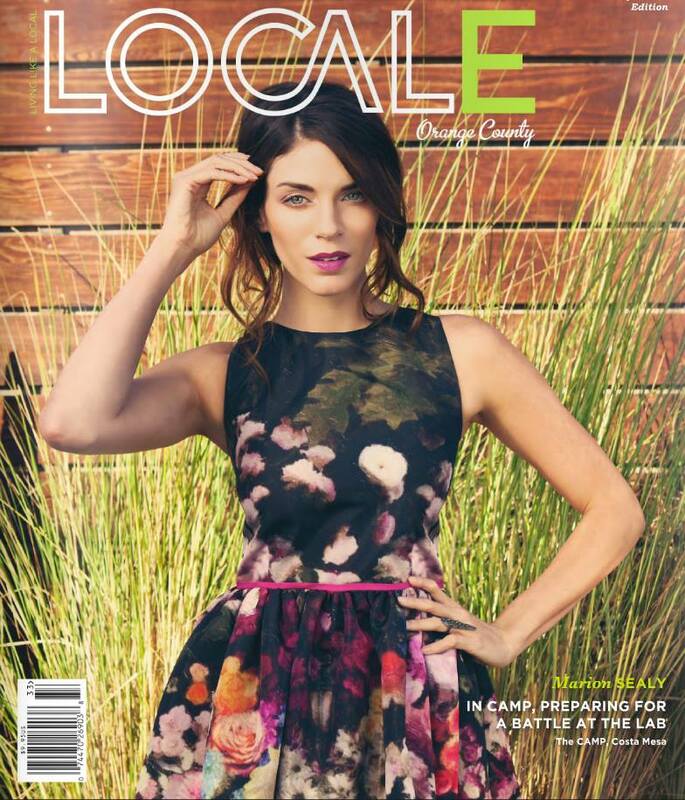 Thank you so much Locale Magazine for including me and more importantly making me feel like a local! I am honored to be one your natives and to share my Orange County treasures! 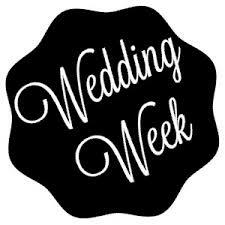 Well everyone -this is my wedding week! The countdown to Mrs. Carlington is on! I’m flying back to South Georgia today to prepare for the big day. I am taking the off next week to celebrate my new marriage and I’ll be back on April 21st. If you want to follow all of the festivities – follow me on Instagram. The hashtag for the wedding is #Carlingtons. Pleaseeeeeeeeeeee stay in touch, comment and enjoy this magical time of my life- I invite you all to feel apart of it. I can’t believe it’s really here. All the planning, organizing, phone calls, emails, ordering and more will finally be worth it. Ahhhhhh I’m going to be a Mrs. Tags: bride, Fashion Expert, Georgia, local, locale, locale magazine, magazine, native, OC, orange county, southern bride, southern wedding, style expert, tv host, tv personality, wedding, wedding week. Bookmark the permalink.